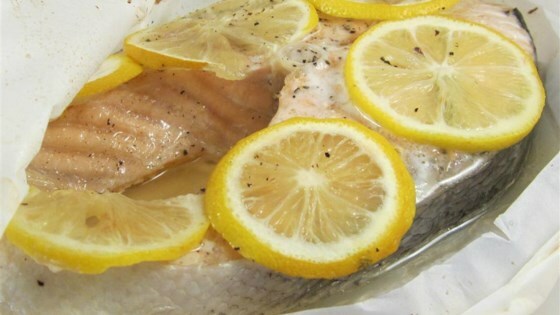 "Salmon baked in parchment paper is the best way to steam in great taste." Simple, moist and delicious - perfect for any diet! made this last night- delicous- I added more spices >>dill and lemon pepper -- I think 15 min would of been enough time to bake or lower the oven temp to 375. I used Dill instead of basil. You could exchange so many herbs in this dish - dill, basil, parsley.